Book Your 2019 Garden Plans! 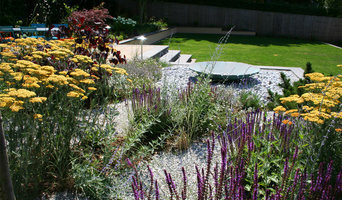 With over 15 years experience, AGI Landscapes provides customers with a bespoke garden design service. Experienced and award-winning landscape gardener Peter develops design concepts to create unique solutions that optimise your relationship with the outside space and complement your life and style. 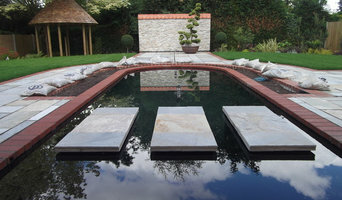 Eric Barker Landscapes have over 30 years experience in creating beautiful gardens and landscapes throughout Warwickshire and the West Midlands areas. Our reputation has been built on recommendation and referral and we pride ourselves on our excellent customer relations and service. Our friendly approach means we work together to put your ideas into practice. Our professional service includes full landscaping and design, site clearance and ground levelling, DIY preparation, footings and bases. Construction of sleeper walls and steps. Garden drainage and garden maintenance. Our company has the knowledge, equipment and creativity to bring your ideas to life and transform your plot into the garden of your dreams. No job is too big or small for us. Get in touch today! Take a leisurely stroll through a garden designed and installed by the Leicestershire Garden Design Company and you’ll notice two things straightaway - a completely practical concept, and painstaking attention to detail at every turn. That’s because every single one of our garden designs is carefully considered and developed to become a practical extension of your living space. None of this would be possible without the specialist knowledge and experience of our Head of Design, Jeff Randall, who has spent the last 20 years learning how to take your garden dreams and translate them into stunning - yet practical - reality. What makes a great garden design? Now we’re not saying that a great garden design just needs to provide practical solutions. That on its own can’t transform your garden into a uniquely special place to live and entertain in. A great garden design is one that fulfils your visions and aspirations, wholeheartedly. Creating the perfect outdoor space means achieving a delicate balance between the visual, fragrant effect of the planting, and the solid, structured feel of the flagstones and stone walling. And if your new garden is going to stand the test of time - and provide pleasure year in year out—it needs to be sustainable, environmentally friendly, and designed with our changing weather conditions in mind. More space, more colour More space, more colour and better shapes than you ever dreamed of - in fact, every element of the design works in perfect harmony with the next. As well being a complete 3D design, the detailed design for your outdoor space will demonstrate exactly how your garden design will be turned into reality. And you’ll see just how we achieve the outstanding level of quality that runs through every piece of work that we do. Why we’re different It’s our enthusiasm, attention to detail, and project management disciplines that ensure each and every garden project is finished within budget and on schedule - every time, and you’ll know what’s happening every step of the way. But if you prefer to go away for a break and leave us to it, you can rest assured that your new garden will be ready for you to enjoy as soon as you get back. How do we guarantee a successful design? We are so confident in the expertise and skill of our team that we provide an unconditional workmanship guarantee on all of our garden designs. 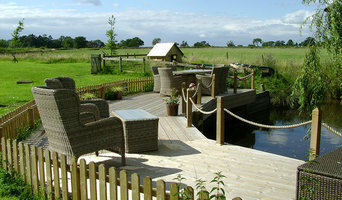 Garden design service offering a friendly yet affordable professional and totally independent service. At SD Garden Designs we do not work for landscapers but only with you the client, so you get the best possible garden. Whatever your Leicester, Leicestershire garden looks like, and whatever its size, you can probably benefit from the services of a Leicester, Leicestershire landscape architect. If your neat rectangular flower beds and manicured lawn just aren’t cutting it anymore and you have grander aspirations, that’s where professional garden designers in Leicester, Leicestershire can come in. Not only can a landscape architect design a garden that a Chelsea award winner might be proud of, they can also completely change the value of your home by looking at your landscape architecture as a whole. The work of a landscape architect serves much more than your garden; it makes the most of your outdoor space in a way that showcases your entire home. Landscape architects and garden designers in Leicester, Leicestershire vary in their range of services, so think carefully about what you want from your garden design professional and how extensive a project it will be before hiring them. A landscape architect will handle all design, supply, construction and administrative elements of your garden or landscaping project. They will take into account your needs, the Leicester, Leicestershire climate and unique advantages and constraints of the landscape architecture. Typically, work will be based on ecological and environmental considerations, and a garden will be planned not only to look its best but also to facilitate future maintenance and growth so that it continues to flourish. A Leicester, Leicestershire landscape architect can also design any outdoor buildings that are to be featured in your garden. Everything from design blueprints through to the plants themselves should be provided by your Leicester, Leicestershire landscape architect. If there is other architectural development taking place on your site, bring the landscape architect in as early as possible. The expertise a landscape architect can apply to understanding your space and the natural environment could be vital to planning your project. Let your Leicester, Leicestershire landscape architect work closely with your architect, surveyor and any other contractors in order to develop landscape architecture that works in accordance with any other construction. This is important from a design perspective as well as on a practical level – changes to the grading of a landscape and modifications such as drainage can have serious implications on the viability of your land for extensive building and structural works. In order to resolve any planning permission issues, submit all applications for building and landscape architecture together, well ahead of the project. The scope of garden designers, or landscape gardeners, is often more limited to green space projects which will optimise your existing outdoor space rather than altering the landscape architecture as a whole. 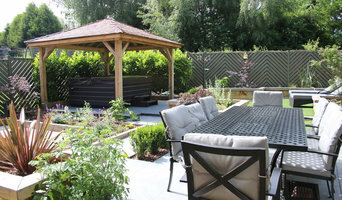 Whereas landscape architects specialise in the structural aspect of garden planning and building, garden designers in Leicester, Leicestershire will carry out projects that are of aesthetic and horticultural value. Landscape gardeners will make your garden the best version of itself with features such as walkways, patios, water features, fences and lighting, as well as choosing the right plants, trees and flowers. The practical role of a garden designer may vary by firm – some offer just the plans, requiring a separate contractor, while others fulfil the project in its entirety, from conceptualisation of the landscape gardening to construction. Don’t be put off by the former if you happen to find a good Leicester, Leicestershire garden designer that you like – he or she will have local industry connections to introduce you to quality, reliable gardening professionals with whom they have existing relationships. Here are some related professionals and vendors to complement the work of landscape architects & garden designers: Landscape Contractors, Garden & Landscape Supplies, Tree Services, Lawn & Sprinklers, Decks, Patios, Sheds & Summerhouses. 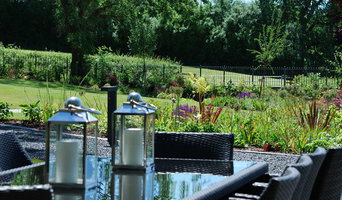 How do I choose landscape architects or garden designers in Leicester, Leicestershire? When choosing your Leicester, Leicestershire garden designer or landscape architect, be sure to research their qualifications and look at examples of their previous work. A portfolio of previous landscape architecture or garden projects is important to ascertain both their credentials as well as their style. Once you have shortlisted or chosen your architect or designer, an on-site meeting is essential so they can see exactly what they’ll be working with. Stay briefed on all plans and developments, both before and during the project as a plan you approved previously may change during the course of the project. Be very clear on your budget – just like plans, costs may alter while work is underway so ensure your professional keeps you informed and does not incur additional expense without approval. If you are open-minded and budget-conscious, consider approaching new graduates keen for experience, who may negotiate a lower rate than more experienced professionals. How long have you been landscape architects or garden designers in Leicester, Leicestershire? Find a landscape architect or garden designer on Houzz. Narrow your search in the Professionals section of the website to Leicester, Leicestershire landscape gardeners. You can also look through Leicester, Leicestershire photos to find a garden you like, then contact the garden designers in Leicester, Leicestershire who worked on it.